Lifeblood is his first solo album in 5 years, and at nearly two hours, it’s a bold, massive statement. He’s been steadily playing solo throughout that time, and the pieces here were recorded throughout 2015 and 2016. There’s connective tissue in the form of motifs and echoes of ideas, snippets of melodies, and rhythms scattered amongst the whole. The album is bookended by long-ish suites, “Lifeblood” and “Prophets,” and a dedication, first to Rajna Swaminathan, “Pathways,” and later a dedication to Roscoe Mitchell, “Abyss.” Mitchell is one of the patron saints of the solo expression, along with Evans’s friend and mentor Evan Parker, and both of their influences are felt on the album. 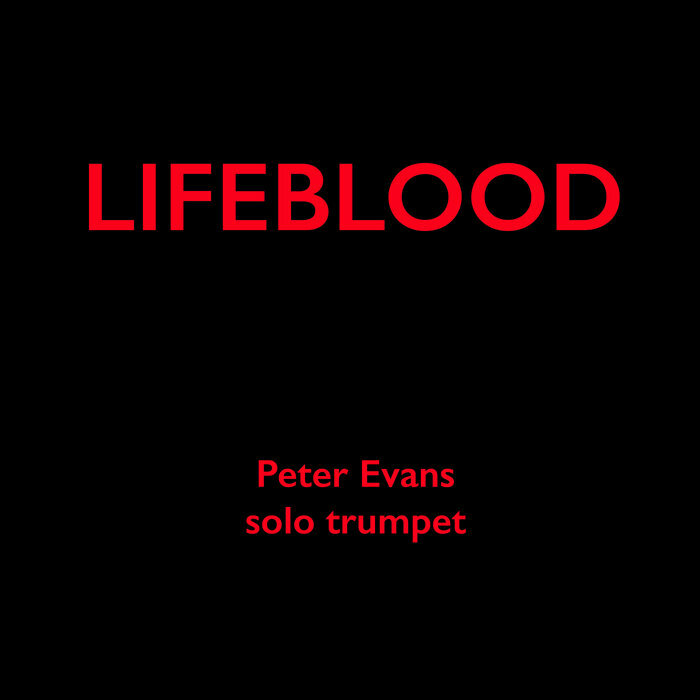 “Lifeblood,” recorded in early 2016, opens the album with a richness and urgency that seems to distantly echo Mitchell’s epochal 1977 recording of “Nonaah.” Perhaps it was the dedication that sparked my thinking here, but there’s a starkness to Evans’s playing in the opening that strongly reminded me of that particular performance, the way there’s a challenge issued to the audience contrasted by the daring nakedness of the artist. The middle of the album is made up of shorter pieces (videos of which have begun to appear online). “Mirrors of Infinity”, “Humans!”, “How Demons Enter”, “Pneumata”, “Night, parts 1–3”, and “Abyss (for Roscoe Mitchell)”. The videos are a nice complement, highlighting the very human side of Evans’s playing. Around the halfway mark of “Abyss,” Evans plays a brief run that involves holding the trumpet away from his mouth, while blowing into it. The result is a softness that’s something of a cross between humming and whistling. On the album, it’s a stunning moment, but seeing Evans perform it in the video, there’s a captivating tension. The final suite, “Prophets,” takes up 40 minutes of the album’s runtime. From bright, brassy tones to a fluttering, lumpy run in the third part, Evans traverses just about every corner of his imagination. You can almost hear him shoving his own brain around, telling himself to keep going, keep questioning, keep pushing. It’s impossible to guess where he’s headed, but there’s real delight in that unknowing. I couldn't agree more, Lee. I"ve been listening to the album in the last few days, and it's even better than Nature/Culture, which I also gave a five star rating so many years ago. Absolutely impressive. Thanks for this excellent review. I can't wait to hear this after seeing him perform solo earlier in the year. Time just stood still as he drew the audience into the stories he told with his horn, making his awesome technique subordinate to the ideas and emotions being expressed. And looking at the Bandcamp page, the title cut is what I heard from seven feet away. is it released only on a USB credit card drive in mp3 and wav formats? Thanks, all. Agreed, it's a superb album. Captain Hate, amazing that you were able to see this live. I've never seen him except on video. Gennaro, from what I can tell, yes it's only in digital formats or the USB drive. But Basecamp supports lossless, so you can download from there in ALAC, FLAC and other formats. 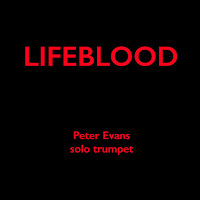 Nice Review, the piece lifeblood has so many beautoiful sentence.Peter Evans will be recorded in history.